Imagine a time lapse flyover of the Twin Cities Metro area during the last 3 years. In addition to all the new construction, it would showcase an ever-increasing number of rooftop solar installations. 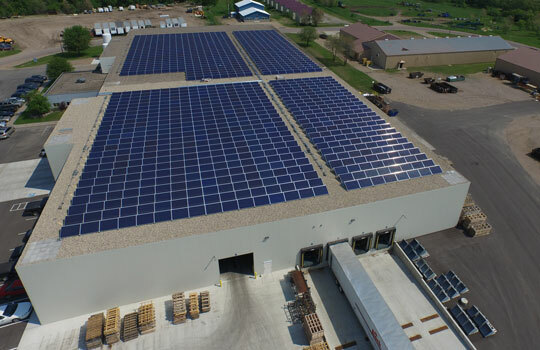 You would see solar installations on shopping centers, such as Ridgedale Mall, big box retailers, such as Target or Kohl’s, and on more and more large manufacturing, industrial warehouses or Public Works buildings. Many of these recent solar investments are driven by increasingly attractive economics, but also sustainability goals and supply chain mandates. Industrial manufacturers, for example, have large rooftops that can help significantly reduce operational expenses and also meet green initiatives pushed down the supply chain from procurement managers or consumers. 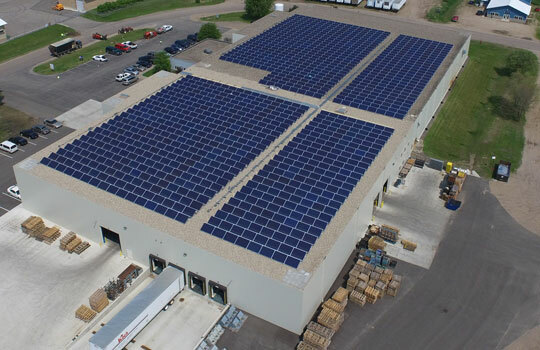 Despite the ever-growing number of large industrial, e-commerce and distribution warehouses built in the last five years, many of them inside the Twin Cities urban core, very few currently have a rooftop solar installation. So why hasn’t rooftop solar caught on with large e-commerce and distribution warehouses and large industrial properties, especially those located within that “last mile”? Many property owners have looked at solar in the past, mostly from a cash purchase perspective. This entry was posted in Commercial, Community Solar and tagged Community Solar, IPS Solar, Solar Honey Cider on October 7, 2017 by Kyle Wehnes.